There are 3 new release opening in UK cinemas this weekend including the drama Churchill starring Sam Worthington. There is also another drama Gifted that stars Chris Evans whilst in the USA he survival horror 47 Meters Down and animated adventure Cars 3 are the highlights. But thats not to say there aren’t any other interesting films coming this Friday so here’s a full rundown; these are the cinema releases June 16 2017 in the United Kingdom, United States, Australia and New Zealand. The story behind one histories most the iconic figures, Winston Churchill. When five former college friends reunite 10 years later for a wild party in Miami they accidentally kill a male stripper. 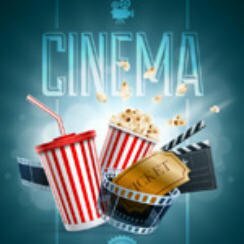 Cinema Releases 1 February 2019: Escape Room Anyone?